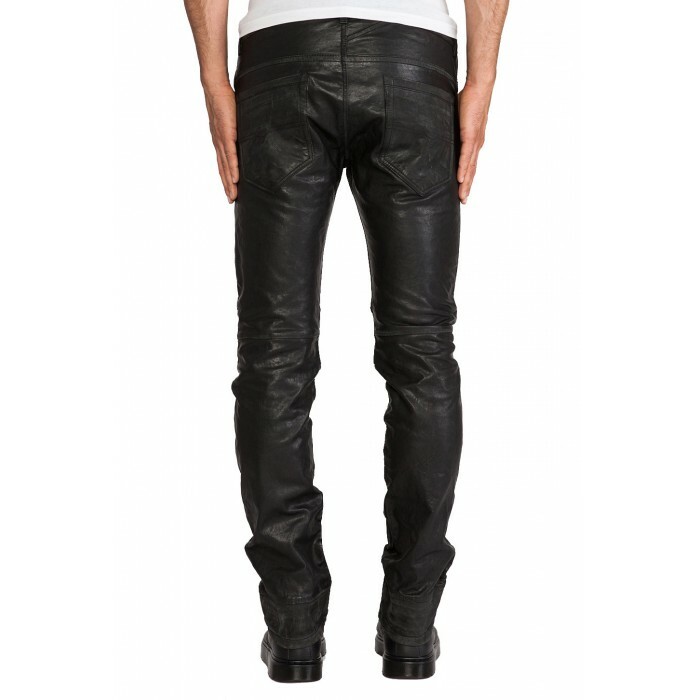 Get fashion forward with this men’s lambskin leather pants. Its snug fit and soft finish brings in comfort and ease while the knee patches along with slight gathering at the ankles makes it stylish and distinct. 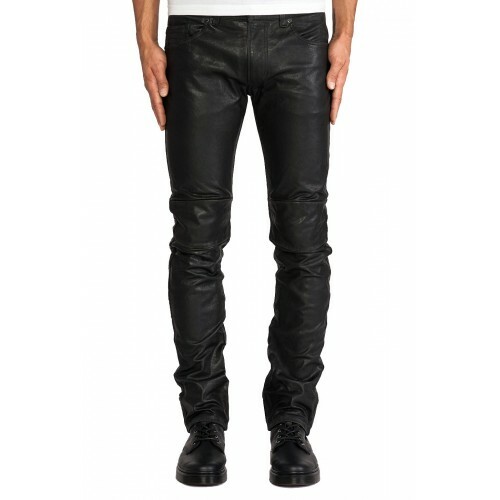 Handmade to perfection, it is ideal for men who like a sturdy and robust biker look.